The area around Maastricht, Limburg has been added to HisGis, the historical geographical information system. You can click on a plot to see the owners. The population register of Haarlem, Noord-Holland for the period 1849-1860 has been indexed and is available via the Noord-Hollands Archief website. When the Zuiderzee was closed by the Afsluitdijk [dike], many fishermen along the coast lost their livelihoods. A law was introduced to support them. The files of the affected fishermen (1925-1975) have been digitized and are available via the Flevolands Archief website. 50,000 notarial records from Nijmegen have been scanned and indexed and can be searched via the Regionaal Archief Nijmegen website. New abstracts of notarial records from Dirksland, Zuid-Holland are available via the Genealogie Flakkee website. Church records, population registers, and militia registers from Amsterdam are now available via WieWasWie. An index and scans of population registers of several towns in West-Friesland, Noord-Holland have been published on the West-Fries Archief website. An index of the 1811 census of several towns in Gelderland is available via GenealogieDomein. The Hollandse Cirkel, a journal for surveyors and the cadaster, has been digitized and is available online via their digital journal archive. 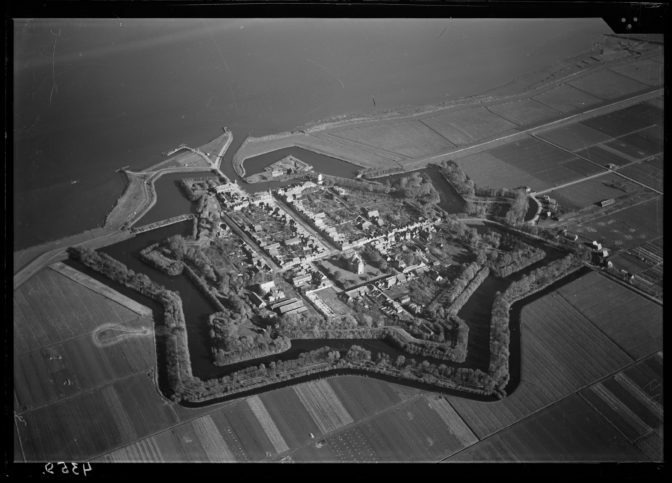 The Netherlands Institute for Military History made 2,000 aerial photos from the 1920 and 1930s available via Flickr. These images have no known copyrights. Volunteers are wanted to verify the names of missing persons published in the Dutch Government Gazette after World War II. See the project website for more information. The Aldermen’s Court of Baarle-Nassau will be going away for restauration and digitization and won’t be availble in the reading room of the Regional Archives of Tilburg for a while. After the project, the scans will be available via the Regional Archives of Tilburg website.